Founded in 1990, Solution Sources Programming, Inc. is a privately held company and headquartered in Silicon Valley, California. SSP is a premier provider of manufacturing test and measurement capabilities, including the latest test technologies for Design for Test, Benchtop Boundary Scan, In-Circuit Test, and Functional/System Integration Testing. SSP designs, builds and deploys custom automated test solutions that test boards and products in manufacturing environments. We provide our services throughout the United States as well as internationally, including, but not limited to, installation and support to China, Mexico, Europe, Israel, and India. Founded in 1991, Corelis offers bus analysis tools, embedded test tools, and the industry’s broadest line of JTAG/boundary-scan software and hardware products. Keysight Technologies aims to deliver breakthrough solutions and insights in electronic design, test, manufacture by having solutions that optimize networks, integrate workflows, and validate future technologies. 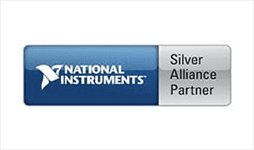 Founded in 1976, National Instruments develops high-performance automated test and automated measurement systems helping engineers & scientists with systems accelerating productivity, innovation, and discovery. 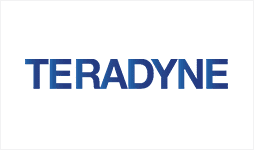 Founded in 1960, Teradyne is a supplies automation equipment for test and industrial applications. Common tests include semiconductors, wireless products, data storage and electronic systems. Put your experience to the test at SSP. From new college grads to senior level engineers, SSP offers a friendly and fast-paced work environment where you get a chance to work on new and exciting stealth electronics. You’ll be using the most advanced test technology available on the market today, building test systems for future technologies and products. SSP provides a supportive environment where you create your own career path and advancement amongst a team of professionals. We are always looking for bright, fresh engineering talent to complement our test team. Please send your resume to jobs@ssprog.com and include "Electronics Engineer/Technician" in the subject line. We are seeking a Functional Hardware Test Engineer I to join our team! Design, build and deploy automated production test stations for our customers’ new products. Please send your resume to jobs@ssprog.com and include "Functional Hardware Test Engineer I" in the subject line. We are seeking a Functional Hardware Test Engineer III to join our team! Design, build and deploy automated production test stations for our customers’ new products. Please send your resume to jobs@ssprog.com and include "Functional Hardware Test Engineer III" in the subject line. We are seeking a Senior ICT Test Engineer to develop test applications for In-Circuit Testers (Keysight and/or Teradyne). Please send your resume to jobs@ssprog.com and include "Senior ICT Engineer" in the subject line. © 2019, Solution Sources Programming. All Rights Reserved.